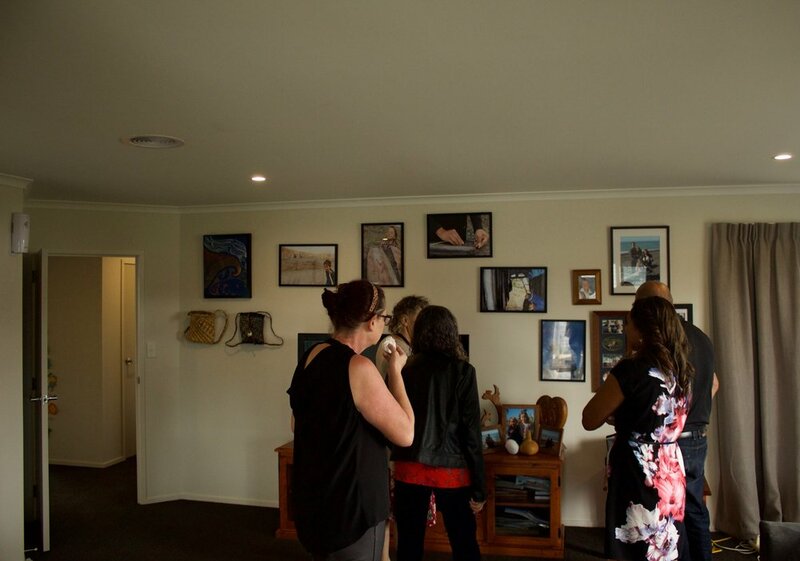 On the 30th of March Te Matapihi were invited to attend the opening of Te Piringa Papa Kāinga in Napier via the Rapihana Hawaikirangi Ahu Whenua Trust. Proceedings began with a pōhiri to Te Puni Kōkiri officials, members of Te Matapihi and Hastings District Council, where they were met by two speakers from the Hawaikirangi whānau. 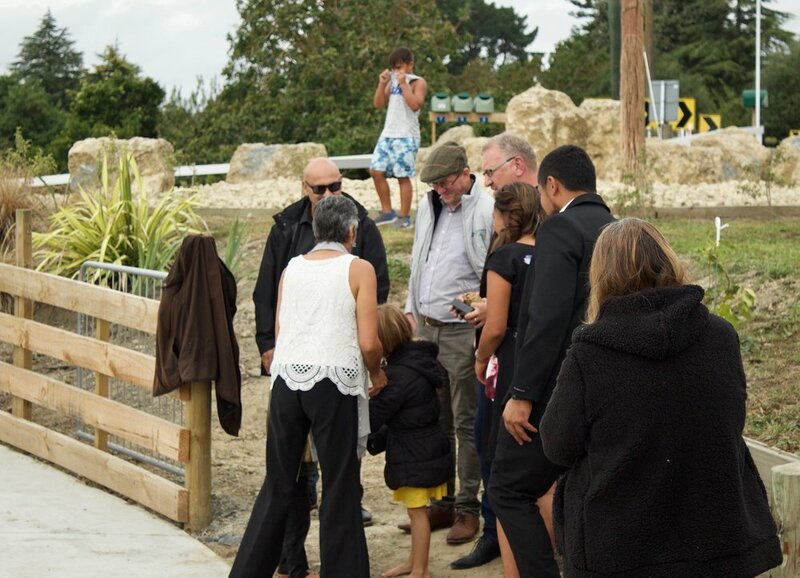 The home speakers spoke towards the manuhiri welcomed on to the Papa Kāinga, reciting their whakapapa, mentioning significant tipuna and whānau, followed by acknowledgements towards those people and organisations who were instrumental in supporting the processes of making Te Piringa Papa Kāinga a reality. A response from Patrick Gemmell (General Manager of Te Matapihi) followed, being of Ngāti Kahungunu descent and speaking to the whakapapa connected to the whenua and hapū. 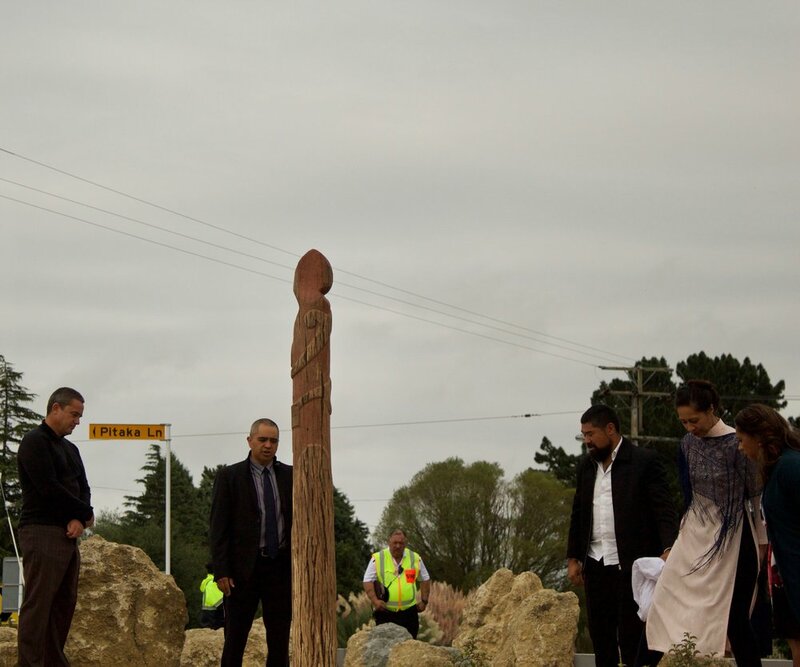 Next came the unveiling of the Pou where attendees were lead towards its position near the entrance to the Papa Kāinga site. A karakia was conducted, leading to a kōrero around the significant symbolism denoting whenua, moana and tipuna links within its designs. 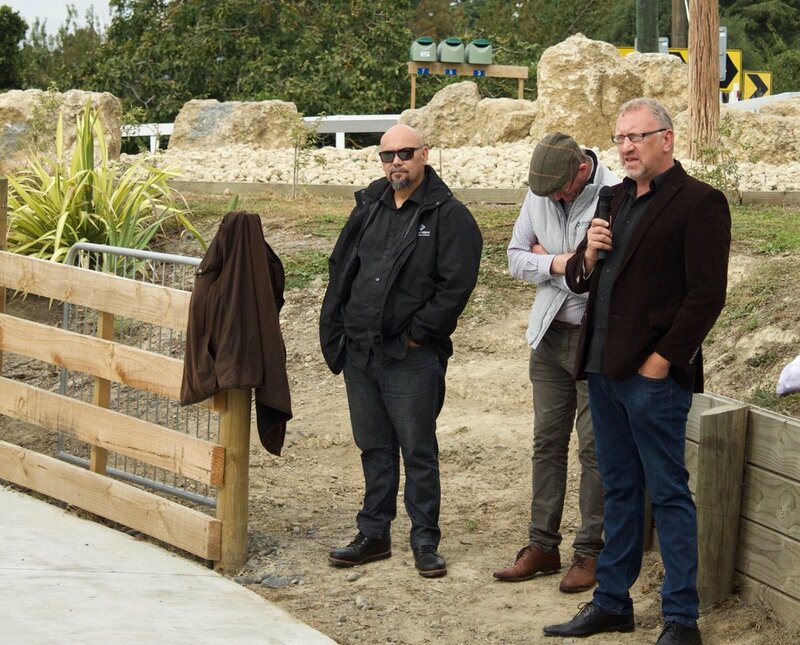 Speeches from members of the Hawaikirangi Whānau, Te Puni Kōkiri’s George Mackey (Te Puni Kōkiri Hastings), Robert Macbeth (Te Puni Kōkiri National Office) and the Papa Kāinga’s project manager Pāora Sheeran ensued, speaking to the significance of the Papa Kāinga site and its history as well as sentiments of the positive housing outcomes that have been made possible through the process and successive outcomes that will continue to follow into the lives of future generations that will live on the whenua. The Hawaikirangi whānau then provided kai and entertainment for attendees and invited people to view the Papa Kāinga.